At Digixav we love HP computers and we all agree that they make brilliant hardware. The Folio 13 won best PC of 2011, and the Envy 14 Spectre is one beautiful piece of Gorilla Glass. 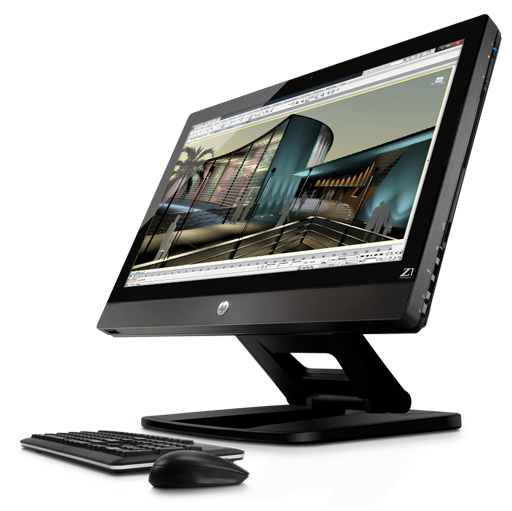 The new Z1 workstation, announced today, looks to be another excellent product for Meg Whitman’s company. The all-in-one workstation looks fantastic. The Z1 comes with a Sandy Bridge i3, integrated graphics and a 250GB hard drive as standard which aren’t fantastic specs for $1,899 but, if you have the money, you can make it phenomenal with a quad-core 3.5GHz Intel Xeon chip, up to 32GB of RAM and a top-of-the-line Nvidia graphics card. There is not much that this configuration couldn’t handle. Not only is this an incredibly powerful computer, but it looks great too. The clean crisp lines are continued throughout the design, making it look good from any angle. The whole thing can even fold down, making it possible to store very easily. The display even lifts up to allow for easy access and upgrading of the internals. However, there is one drawback to all this power and design which is the hefty price tag. According to the HP website, it will start at $1,899, a rather high price considering that it is the i3 base model. But considering all this, the Z1 is a business machine aimed at the rich companies, programmers and graphics designers so the price isn’t that unreasonable. Expect to see these hitting workplaces in April.